You can order your in store personal reading with Chandelle online? Chandelle “Luanna”,is the Author of The Rune Stones, a quick reference booklet (C) 1999 and Tarot, a quick reference booklet (C) 2003, with Beyond the Celtic Cross, How to be a Professional Reader, and Beginner Tarot books currently in editing. She is the creator of the crystal reading kits Celtic Oracle, Wiccan, the Five Elements, the runestone kits Love & Relationship, Prosperity & Success, the crystal meditation kits for various uses, the chakra balancing kit, and the Sreamlined method of teaching the Tarot. Chandelle’s high energy presentations, lectures, workshops, seminars and classes help people develop or expand skills in the areas of personal improvement, psychic enhancement, and divination. Chandelle has over 33 years of professional experience in psychic readings, spiritual counseling, lecturing, training, and consulting. Using crystals, runes, soul cards, Tarot and palm reading along with conscious channeling Chandelle creates a unique reading experience. Chandelle has been a featured speaker on the regularly aired T.V. show “World Peace Now”, lecturer for businesses, continuing education and other public service agencies. Her trainings, facilitating workshops and lectures are conducted within the USA and abroad. Chandelle is available for reading on Sundays 3pm-5pm. Walk ins are welcome, however Chandelle’s hours fill up quickly. It is therefore recommended that you schedule an appointment. Cards coloured in so many ways, designs following a story line or symbolism rich connecting the Tarot to so many other systems. Systems we have used to identify our understanding of the universe. The Tarot has been intertwined with meanings from various past and current day systems such as astrology, the Hebrew alphabet, ceremonial magic(k), colour association, to even the basic five elements used by modern day Wiccans/pagans. Living our lives the way we do today is similar to the way the story of the Tarot unfolds, this makes the Tarot a wonderful tool for contemporary use in divination, dream work, self discovery, magic(k), connecting to our true purpose, enhancing our spiritual path, daily focus, or even used as source of strength or protection. Exploring the many ways to use a deck of Tarot cards goes beyond those mentioned, yet you will find most people are initially drawn to the Tarot as a part of their spiritual path or a desire for insight into themselves, others or even other times. Divination with the Tarot seems to be the starting place for most people that are drawn to the cards. Just what is a Tarot reading? What can the cards tell about your future? The answers to those questions may vary from reader to reader depending on their belief systems and experience with the Tarot. I will answer for myself and what Tarot readings are for me. By no means is what I say true for all readers or Querents (the name commonly used for the person who is receiving the reading). Operating under the premise we humans have power over our lives and can affect change rather than the concept that destiny is set and there is nothing you can do about it is a factor in how I choose to look at life and conduct readings. My readings speak of the path the Querent is currently on and where their actions, if continued, will lead. I speak of which aspects and abilities if used will assist the Querent through their current challenge and which aspects will delay or derail their path forward. The challenge as I see it is the place where the Querent is currently stuck, the reason things are staying as they are and not moving forward, or the place the Querent has an opportunity to grow. I speak of where the Querent’s path will lead if they embrace their challenge and the gifts they will receive for choosing to go forward upon the path offered. Showing a Querent which aspects of their lives to bring forward and which to let rest eases the journey and minimizes distractions, diversions or a scattering of energy. Introduction to the Tarot is much like meeting someone who will in time become a really good friend, quite exciting and mystifying all wrapped into a small package. Simple understanding of the Tarot can be learned in a day, yet as you get to know the cards and as you change so will the relationship built with this wonderful tool. Receiving your first deck or Tarot cards as a gift has been a long honored way of first introduction into the world of Tarot. Today however more and more people are purchasing their first Tarot for themselves. If you are one of the latter and considering the wide variety of Tarot decks available the choices can seem overwhelming. Adding to the confusion are all the oracle decks or even decks which say ?tarot? on the box yet have 88 or some other unusual number of cards contained within the box. Now wait you may be saying with so many choices how I will know which decks are Tarot decks and which are not. Oracles usually say so right on the front of their container and to use an oracle deck you will be learning another system of meanings that differ from those contained within a deck of tarot cards. When looking at the offerings look on the side of box and check the number of cards within the deck(s) you are interested in purchasing, if there are 78/79 cards the chances you are getting a deck of cards that fits the accepted system for a deck of Tarot cards. Investigating the cards further you will find there are two parts to a deck of Tarot cards usually referred to as the Major Arcana & Minor Arcana. Within the minor arcana there will be 4 suits much like a deck of playing cards. The names for these suits vary widely though the majority of the cards will have suits resembling wands, swords, cups and pentacles. Of course you also want to look at cards whose artwork calls to you. Or in the case of scholarly interest a deck that is symbolism rich such as the Rider Waite or any of the Waite clone decks. Self study, there are many books on the subject widely available from stores and the internet. In fact I have yet to find a deck of tarot cards that does not come with a little booklet explaining their deck and usually including a version of the celtic cross spread for laying out the cards. Apprenticeship, many experienced readers will take on students for an apprenticeship which can last into the years if both parties so choose. Attending classes on the subject, many stores who carry tarot cards for sale also offer some type of classes on the subject. Classes can range from a one day intensive workshop to ongoing weekly or monthly classes. Online training many sites now offer some type of online training ranging from basic to certification. Now that I have mentioned certification, some people may ask if they need to be certified to engage in a tarot business, the answer as of the writing of this article is no. There is no current official governing body requiring the certification of readers, as reading falls under the unregulated category much like hypnosis, life coaching, and other unregulated businesses. If you wanted to be a doctor or lawyer or even massage therapist in most places those careers do require you pass some sort of training and testing process resulting in a license or certification prior to being able to practice your profession. Constructive or destructive in my experience any tool can be used for either purpose. A simple hammer can be used to build a house or tear one down. Tarot cards are no different in that respect they can be a tool of creation and destruction. Fear is sometimes associated with Tarot, in some the fear is especially enhanced by entertainment industry, the woman in a dark room full of veils and candles speaking of doom yet offering a way out for a price (usually quite hefty) she can bless a special candle and remove the negative energy from your path, or using the cards to call in demons to posses the Querent or at the very least cause havoc. Although the Tarot is still being used in a negative way by some, there are also many currently using the Tarot for beneficial purposes yielding positive results. How a tool is used reflects the user more than the Tarot cards having a power of their own. Those new to the Tarot may find themselves facing fears about the tool or even those using the tool (the reader in question). My suggestion regarding readers is ask those about to give you a reading to talk to you for a min prior and see if they are a good match for you. Read books or articles written by the reader you are considering if you do not have access to the reader prior to your appointment time. 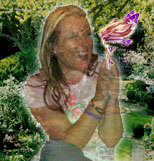 You can also ask for referrals from those you have known who have in the past received readings. If the fear is around learning the tool then read books or articles like this one on the internet, ask people in the business or otherwise expose yourself to the medium prior to buying a deck of cards to get comfortable with the medium prior to use. Once you have decided to embark upon a journey with the Tarot you will find the different decks of Tarot cards will enrich your life in both understanding and growth of self. My personal journey has been altered magnificently by using the Tarot, runes, soul cards, crystals, palms and other ways of connecting to my spirit. Those who embark upon this journey with me will find another layer to the world and those inhabiting the world with us. There are many perspectives on the Tarot and many books on the subject, not all agree, what will be true in ones perspective will be false to another. Allow yourself to make choices for where you are now with the Tarot and allow your choices to change as you do, this is by no means a stagnant tool with only one way of working. Embrace the “rules” around the Tarot that fit your beliefs and leave behind those that do not!